Cibapet - Why Aren't There Terpenes In Cibapet Products? The cannabis plant is home to a wealth of interesting molecules, many of which demonstrate potent medicinal effects when researched. Cannabinoids are the most well-known components, a chemical family that includes CBD. 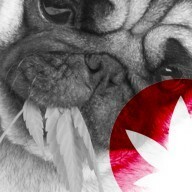 However, there are many other chemicals within the herb that contribute to its overall effects. These include terpenes, molecules responsible for numerous plant functions and for creating a variety of aromas and flavours. Many cannabis-based products employ these chemicals to enhance flavour and potency via the entourage effect. When it comes to Cibapet—a high-quality CBD product line for pets—we have chosen to leave these aromatic molecules out of the mix. Terpenes are volatile aromatic compounds found all throughout nature. The immensely pleasurable smell experienced whilst strolling through a pine forest is thanks to high quantities of the terpene pinene within the trees. The fresh scent of orange peel as you break into a citrus fruit is caused by terpenes within the rind. The smallest and most volatile terpenes that exist are known as monoterpenes. Larger and less volatile terpenes are known as sesquiterpenes. When it comes to the cannabis plant, these molecules are produced as secondary metabolites, meaning they are organic compounds that are not directly involved in the normal growth, development, or reproduction of the plant. Instead, they serve to protect plants against numerous threats such as insect predators and high temperatures. Terpenes and cannabinoids are created via the same biosynthetic pathway, which takes place within the trichomes, tiny mushroom-shaped glands that inhabit surfaces on the buds and leaves. Terpenes can comprise around 10% of the resin secreted by trichomes. Terpenes are highly valued within both the recreational and medicinal cannabis markets. Many strains are bred to express certain terpene profiles to provide distinct flavours, scents, and effects. 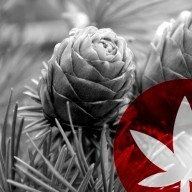 It’s also been discovered that terpenes and cannabinoids work together to enhance physiological actions. For example, the terpene limonene has been shown to synergise with CBD to enhance the cannabinoid’s anxiolytic properties, whereas myrcene has been shown to boost the pain-killing properties of CBD. So, if terpenes are therapeutic in their own right and can even synergise with CBD, why are they not placed within Cibapet products? Well, there is good reason for this. Anybody who has ever used essential oils can attest to the fact that terpene extracts are extremely pungent. 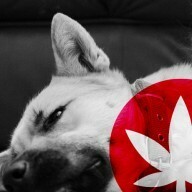 It just so happens that the potency of some terpenes, such as pinene and myrcene, is enough to put pets off. This makes a lot of sense when looking at the role of terpenes as protective secondary metabolites. They are designed to turn away potential predators. Considering that common pets such as dogs and cats have greatly enhanced senses of smell, they may be extra sensitive to the aromas of chemicals that are already potent to us. 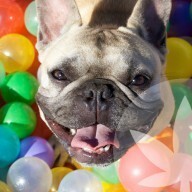 The taste of terpenes is also believed to be quite unpleasant to pets, which could be an issue when trying to administer CBD to them on a daily basis. Cibapet products have been specifically formulated to be as easy as possible to administer to pets. Everything from route of administration to additional supportive ingredients has been optimised for the wellbeing of your furry friends. 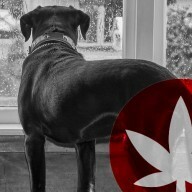 Some pet owners may have just discovered CBD and are wondering what the positive effects are. 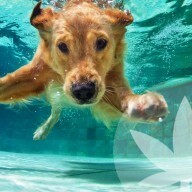 Many scientific studies orientated around CBD have been conducted on animal models, with a wealth of promising results. 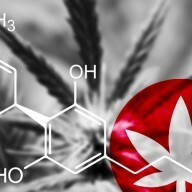 CBD is 1 of over 100 cannabinoids so far identified within cannabis/hemp plants. Cannabinoids such as CBD achieve many of their impressive effects by interacting with a physiological system within the body of all mammals—the endocannabinoid system. CBD influences the CB1 and CB2 receptors that comprise this system, as well as other sites such as serotonin receptors. Through this mechanism of action, CBD has been shown to exhibit anti-anxiety, anti-inflammatory, neuroprotective, and antioxidant effects. These effects are suggested to not only be beneficial to human populations, but other mammals as well! 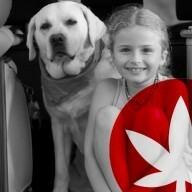 Cibapet offers 2 primary ways of administering CBD to pets. The first is a CBD oil available in a 4% CBD concentration. This oil is extremely easy to dose and can simply be squirted directly into your pet’s mouth, or placed on top of a treat. A dosage of 2–3 drops per 10kg of bodyweight up to 3 times per day is recommended for dogs. Cats can receive a maximum dose of 2 drops of oil 2–3 times per day. Puppies and kittens are given half an adult dose, up to 2 times per day. 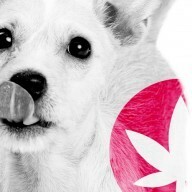 Cibapet CBD pastilles are another superb way to dose pets with the cannabinoid. These health-boosting pastilles are also infused with essentials vitamins and minerals such as vitamin B12, K3, B6, as well as zinc and iron. 2 pastilles can be given per 10kg of body weight for dogs, with a maximum of 6 per day for large dogs. Cats can receive up to 2 pastilles per day. Puppies and kittens receive half an adult dosage.